—P.R.S. OBEROI, Chairman, Oberoi Hotels, Ltd.
Operating and expanding business units offshore, selling in foreign markets, and managing global supply chains are just three of the many challenges that emphasize the importance of leaders that can transcend borders. 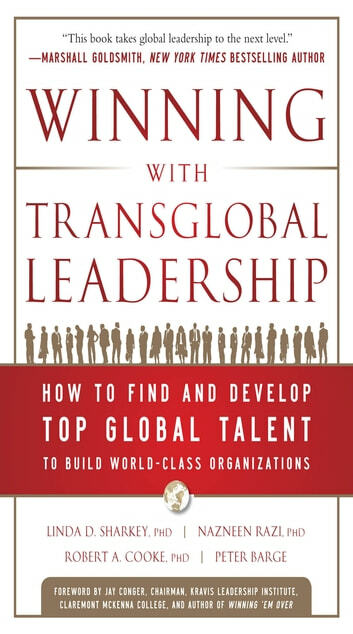 Winning with Transglobal Leadership will help prepare your organization to meet this need head-on with a framework for developing and training leaders that best fit your global growth strategies. At a recent World Economic Forum in Davos, Switzerland, numerous CEOs in attendance cited a growing need for talent that could function successfully in new and emerging global markets. 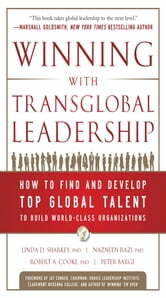 For leaders and managers, HR and training specialists, or anybody doing business today, Winning with Transglobal Leadership is the definitive handbook on satisfying the demand for specialized leadership skills—now and in the years to come. Dr. Larry F. Ross Sr.